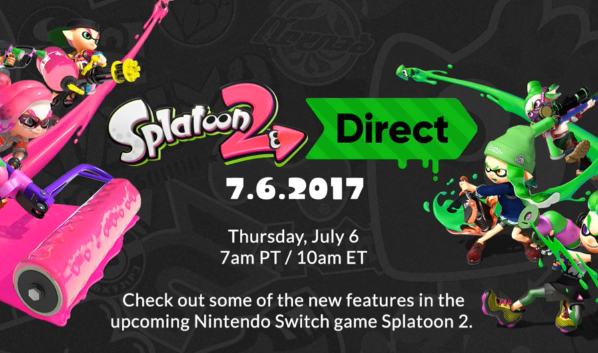 Today's Nintendo Direct was early in the morning, but jam-packed with information on Splatoon 2, which launches on the Switch July 21st. We've got a quick recap for you on all the news you might have missed. While some information and modes covered may not be entirely new, there's certainly a lot in here that's certified fresh! 2017 Splatoon 2 World Inkling Invitational is Almost Here! The Splatoon U.S. Inkling Open was announced on March 30th in a Tweet from Nintendo of America, with a grand prize of a trip to E3 for the winners. Nintendo Treehouse shared some info regarding Splatoon 2 multiplayer today in preparation for the 2017 Splatoon Invitational! Good news squids, all your favourite modes are back! Turf War, Splat Zones, Tower Control and Rainmaker are all returning, with the ranked game modes getting small quality of life changes to make them even better.